Long concerned with the future of humanity, and passionate about awakening our collective potential, Anodea has dedicated her life to healing the wounds in our personal and collective psyches. Her best-selling books on the chakras and global change have placed her among the evolutionary thought leaders of our time. Anodea holds a doctorate in Health and Human Services, with a specialty in Mind-Body healing, and a Master’s in Clinical Psychology. Her best-selling books on the chakra system, marrying Eastern and Western disciplines, have been considered groundbreaking in the field of Transpersonal Psychology, and have been used as definitive texts in the U.S. and abroad. With over 500,000 books in print, and translations in 25 languages, her books have won her the reputation of solid scholarship and international renown as a dynamic speaker and workshop leader. 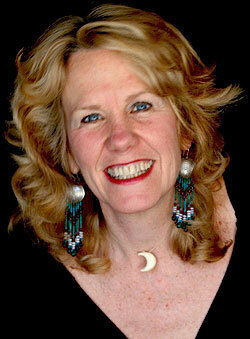 Anodea is founder and director of Sacred Centers, a teaching organization for life-affirming paths of wisdom. She taught with Lion Goodman for many years, co-creating the material for Creating On Purpose through their many workshops worldwide. Her books include Wheels of Life; Eastern Body / Western Mind; Waking the Global Heart; The Seven-fold Journey; and the award-winning video, The Illuminated Chakras. Lion is co-founder of Luminary Leadership Institute, a consulting firm dedicated to bringing leaders of businesses and organizations into alignment with their highest virtues. 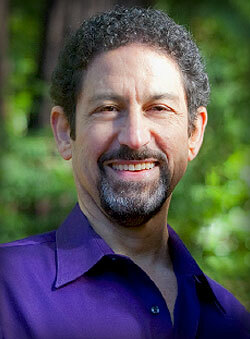 He has 35 years experience as an executive coach and businessman. He founded The Goodman Group in 1984, an executive search and consulting firm that served more than 250 companies and executives during his 18-years as CEO and President. Lion is a coach, healer and teacher. He is the creator of the BeliefCloset Process, a proprietary methodology for shifting beliefs at the core of the psyche, which he has taught to hundreds of coaches and therapists around the world. In his coaching and healing practice, he uses a wide variety of methodologies, including the Creating On Purpose curriculum, to guide his clients into their best life. He is a co-founder of The Tribe of Men, a men’s community in Northern California, and he served as Director of Men’s Programs at The Shift Network. Lion has taught workshops across the U.S. and Europe. He has been widely published, and has authored four books: Creating On Purpose; Menlightenment (A Book for Awakening Men); Transform Your Beliefs; and The Heart of Healing, co-authored with Deepak Chopra, Dean Ornish, and others.